 Industrial Clutch Parts Ltd. manufacture an extensive range of mechanical brakes. ICP distribute hand operated caliper brakes worldwide for those industrial applications in which pneumatic or hydraulic power is not required. ICP Mechanical Hand Operated Caliper Brakes are available in various sizes and models for specific customer requirements. Stocked in the UK, ready for worldwide distribution. This ICP Caliper Brake model is completely interchangeable with the Twiflex GMRW Caliper Brake Series. Industrial Clutch Parts is pleased to introduce the new and expanded range of caliper brakes with innovative solutions for every requirement. Decades of experience combined with a continuous feedback with many different users and a careful analysis of their demands, has allowed us to develop a range of products that revolutionises the caliper brake concept with the introduction of many improvements and innovative technical solutions.